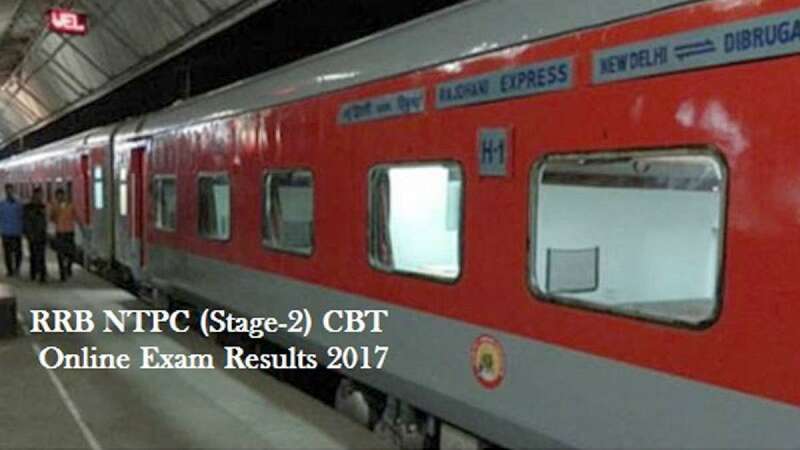 New Delhi : The results for Railway Recruitment Board (RRB) NTPC's 2nd stage CBT (Computer Based Test) exam that was conducted throughout India to discover skilled and eligible workforce for 18,252 available posts of Assistant Station Master, Commercial Apprentice, Traffic Assistant, Clerk, Senior Clerk and Typist etc. are likely to be announced by March 15, 2017. The NTPC exam was conducted in all the 21 allotted RRBs of the country. Interested applicants sat for the test to grab the opportunity of massive scale recruitment. Now, they are all waiting for RRB NTPC Result 2016. As per secondary sources, the result is being delayed as the answer sheets of the candidates are being compiled, which would take a while in declaring the result. Approximately, 3 lakhs aspirants had appeared for 2nd Stage CBT for the RRB Non-Technical Popular Category. Railway Recruitment Board is expected to declare the results of RRB NTPC Stage 2 examinations by March 15.. The candidates who had appeared for the examinations can check the results by logging on to the official website, indianrailways.gov.in once it is declared. 1. More than 3 Lakh aspirants appeared for RRB NTPC Mains examination. 2. The answer keyes for the RRB NTPC Mains examination were issued on January 24th, 2017. 3. The RRB NTPC Result for CBT 2 or Mains examination is likely to be announced this coming week itself. Railway Recruitment Control Board is a government organisation in India. It was set up in 1998 in the Ministry of Railways (Railway Board), New Delhi. The major aims of Railway Recruitment Board (RRB) is to appoint employees to work in Indian Railways. Railway Recruitment Boards are organisations under the Government of India that manage the appointment of new employees to work in Indian railways. There are 21 boards situated in different parts of India.